This post was originally published on January 24, 2015. It’s reappearing today as a Wayback Repost, so you might see some old comments below. Feel free to continue the conversation! The Month of Letters is nearly upon us! Time to make sure you have all your supplies–pens, stationery, stamps. I’m more pleased than I should be that the post office has Batman stamps available right now. But hey: Batman! Of course, if I wanted a stamp with Batman on it I don’t have to rely on the USPS. 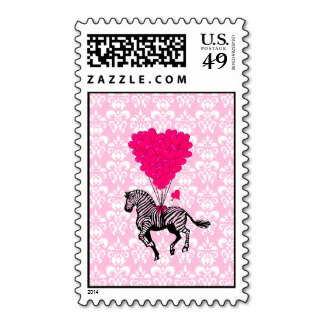 It’s possible to make stamps with whatever image you desire via Zazzle.com. And while grabbing an image from a comic panel is probably frowned upon (copyright and all), it’s just fine to add an image of your own. The Zazzle stamps come in multiple sizes, in first class and postcard denominations, and are fully sanctioned by the Postal Service. You don’t need a Zazzle shop to create custom stamps for your own use. You can either just upload your own image or start with a template and customize from there. Zazzle also has a pretty extensive stamp shop with several designs and beautiful artwork that you can purchase as is, if you like how they look. 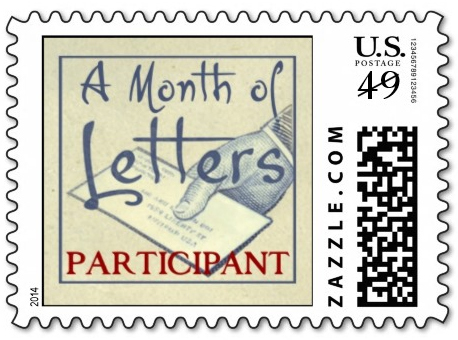 And, if you’re so inclined, you can also purchase Month of Letters stamps from the LetterMo Zazzle Shop. Mary created them, and you can get a bunch of different sizes and values from postcard all the way up to Priority Mail. 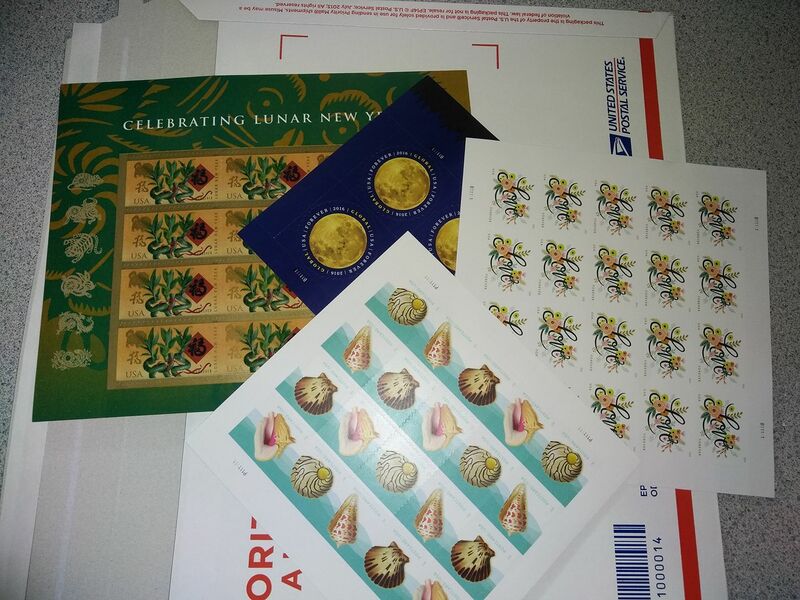 If you order stamps right now you’ll have them in time to use for Month of Letters. 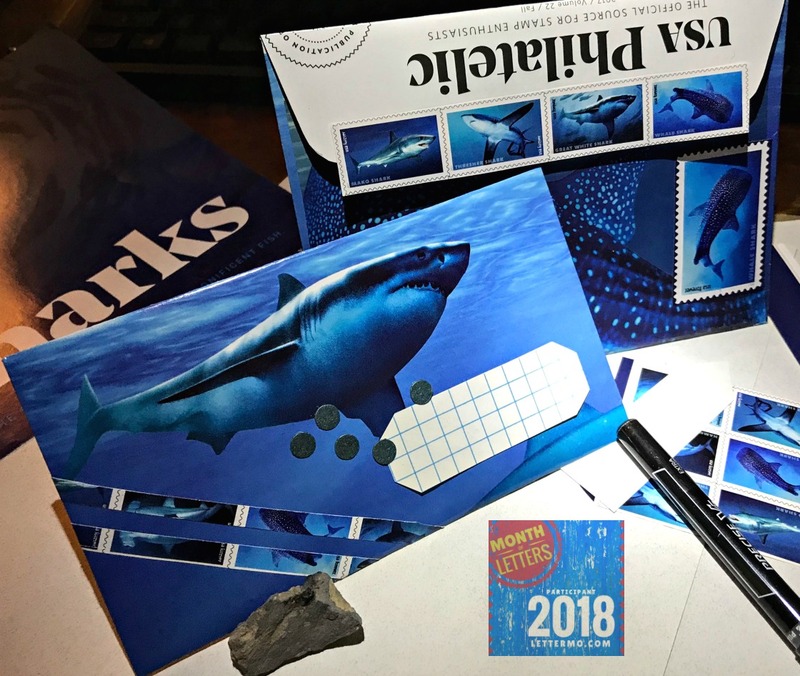 Imagine how cool it will be for your letter recipients to get something in the mail that’s not only a treat on the inside, but personal and unique on the outside? Zazzle isn’t the only place that lets you create custom stamps. Do you have experience with and like using another? Please share in the comments. At the beginning of February I started keeping track of the #LetterMo and #InCoWriMo tags on Instagram because I love seeing the pictures of mail being sent out. I’m particularly impressed by those of you who make a crafts project out of mail and create and/or decorate your own envelopes and such. So amazing. If you don’t know about the communities on Instagram, Tumblr, Facebook, Twitter, and the Forums here, you really should check them out. You’ll see some great pictures and stumble upon some interesting discussions. Plus more folks who might want to be your pen pal. Below are some of my favorite images from the #lettermo hashtag to give you a taste of what you’re missing. Before we get to that, I have a request for those of you who are already participating. Today through the weekend I’d like you to share pictures of your favorite stamps. Whether they are going on one of your letters or postcards or they’re a stamp you collected or a stamp used long ago and can find a picture of, I want to see them! Share using #lettermo on any social network you like. And please keep sharing pictures of your letters, envelopes, packages, and feline helpers!